Articles	Press Release – Transcend Your Gaming Rigs Into The Next Gaming Dimension! 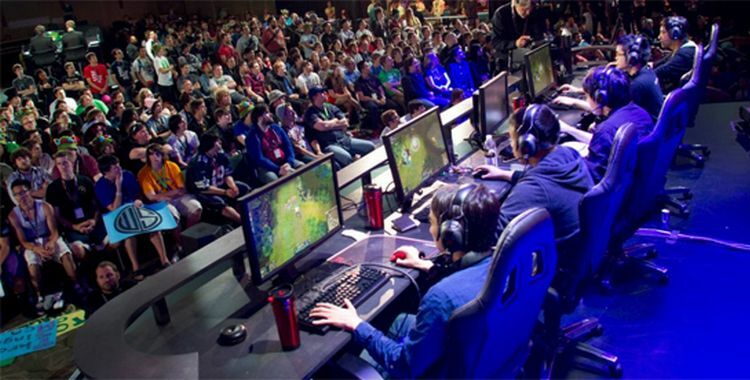 In the last few years e-Sports has come along in huge leaps and bounds, it’s gone from niche online competitions to proper stadium filling events that can result in teams winning thousands of dollars in cash prizes. But even though it’s starting to be taken seriously as a competitive pastime, like real sport there’s still an issue with inequality amongst players especially the women gamers. Even though the number of female gamers and all-female gaming teams has increased drastically over the last few years according a survey conducted by WellPlayed (an e-Sports production company) the amount of people playing competitive games like Counter Strike, LoL, Dota and StarCraft was over 90% male. Which is strange when you consider that some of the top earning players are female with the current reigning champ Katherine Gunn winning $122,000 from a Halo: Reach tournament. But you may be wondering why aren’t so many involved in the pro circuit? Well that’s down to a number of things, first is that there’s a lot of sexism because it’s a completely male dominated sport. There’s still this stereotype that girls don’t play games or if they do it’s mainly something simple like Candy Crush or a basic bingo site, like the kind you can see when you visit here for example. At times being female has even made going pro more difficult regardless of player ability. Many professional female gamers will tell you that they’ve been excluded from teams because they weren’t ‘pretty enough’ which plays back into stereotype of e-Sports being dominated by men who just want women in the sport who look good. There’s a lot of misogyny in the actual organisation of e-Sport events. The most infamous incident was when the International e-Sports Federation announced that they were refusing entry to any women competitors in the first annual Hearthstone tournament. The competition was to be only open to men according to the organisers to legitimise the event by dividing up men and women like they do in normal sporting events. This of course backfired spectacularly since unlike real sports with gaming there are no physical requirements or differences between male and female competitors other than their skill level with the turn-based video game. According to the organisers it was their way of encouraging female players to compete in their own segregated league. With all this considered it’s a wonder how there are actually any female gamer teams. Obviously it can’t continue like this and there is a lot that has to change, but where exactly? Well ideally we need to open the doors to all games regardless of genders, videogames are supposed to be about creating a community of acceptance where we all have something to relate to and always enjoy.